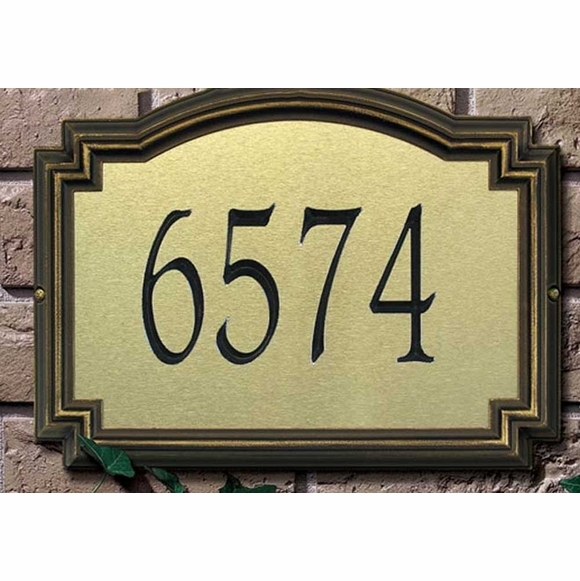 Custom Home Address Plaque with 4" Numbers, Metallic Colors - - features a dimensional two-tone border and tall 4" numbers for improved visibility. Made in USA. Holds up to five 4" high black numbers. Unique shape combines rectangular elements with a slightly arched top (shown in brass & bronze). Dimensions: 14"W x 10.5"H x 1.25"D.
House number sign with 4" numbers and distinctive picture frame border.